Minimize risk to your business, maximize IT availability, and recover faster from disruptive incidents, both on-premises and in the cloud, with resiliency services from GBM.As your resiliency partner, GBM can implement and support a purpose-built disaster recovery as a service (DRaaS) solution that protects your Windows, Linux and AIX environments. We can also help you automate protection of your public cloud environments, with industry-leading disaster recovery orchestration. In a world of growing cyber-threats, and with data increasingly vital to your operations, GBM is here to increase your business resiliency and confidence. Protect all of your data and virtualized environments against loss, without adding complex management burden or large capital expenditure. GBM’s backup as a service (BaaS) backs up your servers to the cloud or a local appliance, so you can reinstate systems to a restore point quickly and prevent costly downtime. Your data is also protected by military-grade encryption and security. Whether your busy IT teams are spending too much time managing a complex backup environment, or you don’t have enough physical space to accommodate backup systems, or you are struggling to meet backup and recovery targets – GBM can help you make backup simple, scalable and more cost-efficient. Digital disasters come in many forms, from cyberattacks, to extreme weather, to simple human errors. Your organization needs to be ready to recover quickly, before downtime and data loss damages your operations, reputation and finances. GBM’s disaster recovery as a service (DRaaS) solutions ensure that your infrastructure, applications and data are always fully replicated in the cloud – so that site-wide restoration is a click away. Predefined recovery of unforeseen downtime: with continuous replication your data is always available and the DR infrastructure can be started up within agreed RTO timeline. If your organization depends on highly available IT, and disaster poses a threat to your operations, GBM is here to partner with you to design the right DRaaS solution and keep you up and running. 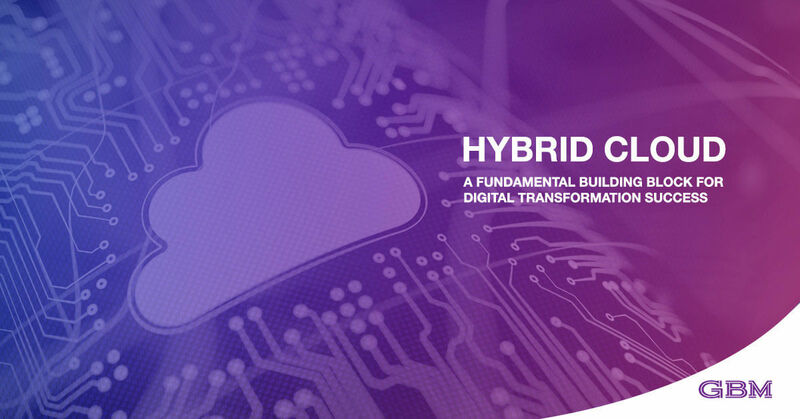 Hybrid cloud infrastructure is making disaster recovery more complex – because when your applications and data are distributed across on-premises data centers and public cloud services, replicating and restoring them becomes a bigger challenge. Fortunately, it’s a challenge that GBM’s disaster recovery orchestration solutions are ready for. If you are using multiple public cloud computing and storage services, our experience and technology partnerships enables us to integrate leading services to fully protect your business and bounce back quickly from disruptions. Reduce risk and deploy the most comprehensive, tailored DR orchestration solution with GBM.